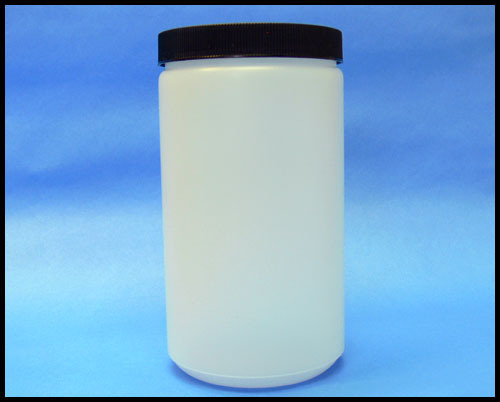 High Density Polyethylene (HDPE) jar with cap. 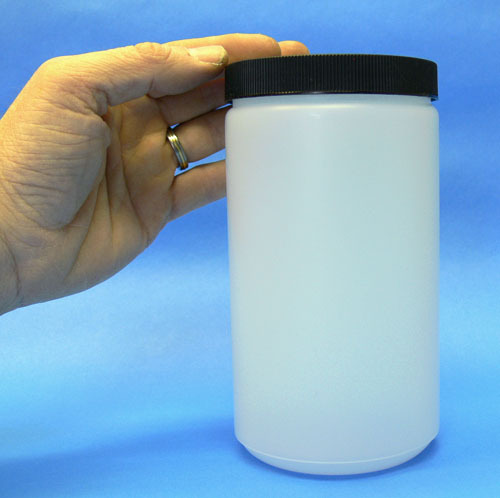 Extra-wide opening, large capacity jar allows large scoops in to retrieve contents. Complete with lined black cap as shown. HDPE is the most widely used resin for plastic bottles. This material is economical, impact resistant, and provides a good moisture barrier. HDPE is compatible with a wide range of chemicals including acids and caustics but is not compatible with solvents. It is FDA approved for food use. Plastic Bottles made from HDPE are naturally flexible and provide good protection at below freezing temperatures, they cannot be used with products filled at over 160 ° F or products requiring a hermetic (vacuum) seal. HDPE is NOT suitable for use with essential oils.